Beautiful Swiss chalets, exceptional skiing and a touch of royalty can be found in some of Switzerland’s top ski resorts; Crans Montana, St Moritz and Klosters. These resorts are perfectly suited to a large corporate conference. If this isn’t for your corporate group, the charming resort of Zermatt sits under the watchful eye of the Matterhorn and offers a more vibrant option. Equally, fine dining and a fun-filled atmosphere can be found in the world-renowned resort of Verbier. 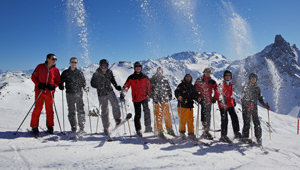 Either way, your corporate group is guaranteed to be well-catered for if you choose a Mountain Leap event in Switzerland. Crans-Montana is an up market ski resort enjoying wonderful panoramic views from the Matterhorn to Mont Blanc. As the sunniest ski resort in Switzerland, Crans-Montana is justifiably popular and offers 140km of skiing, more than 150 shops and 70 restaurants and a championship 18-hole golf course. Crans-Montana boasts plenty of well groomed pistes suitable for all levels of skier, high quality off-piste opportunities and plenty of other Winter sports including cross-country skiing, ski touring, snowshoeing, ice-skating and snow biking. Visitors to Crans-Montana are able to enjoy varied, wide-open pistes, scenic tree-lined routes from 2,000m down to the base stations, significant off-piste for freeriding and or course breathtaking panoramic Alpine views. Although predominantly south-facing, Crans-Montana’s ski area, which stretches from the Glacier Plaine Morte at 3,000m down to village level at 1,500m,is high enough to retain good snow conditions and cold enough to allow snow cannons to create artificial snow when needed. In addition to the skiing and stunning scenery, Crans-Montana has plenty on offer in the way of retail therapy, dining options and of course, Apres Ski! Formerly a quiet monastery village, Engelberg has recently become a modern winter sports magnet, welcoming visitors from around the globe. The old mountain village and resort cater to every level of skier, especially those powder hounds among you! Some 2000m in altitude separate the peak of the Titlis from the valley below offering high altitude, snow-sure skiing. Engelberg delivers on all its promises – snow cover, thrilling off-piste skiing, superb snowboard parks and vibrant après ski. 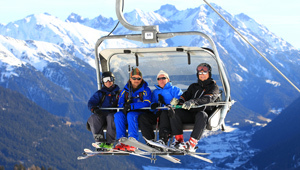 It has also recently been voted the second most snow secure resort in the Alps. All that and it’s only an hour away from Zürich Airport! One of the Europe’s top ski resorts, Gstaad sits between four valleys and offers a world class selection of on and off slope facilities, in addition to accommodation standards that have become legendary. Gstaad is the key player in a series of French and German speaking resorts linked by a scenic mountain railway. With skiing throughout the valleys from the nearby villages of Saanen, Schönried and Saanenmöser, as well as Gstaad and Château d’Oex, the area boasts aprroximately 250 kilometres of pisted terrain. The area is varied to suit all standards of skier and snowboarder and offers ample opportunity for off piste adventures and access to the Diablerets Glacier. Gstaad itself is a beautiful and very up-market Swiss village comprising picturesque alpine chalets with fabulous alpine scenery. The resort centre is was pedestrianised in 1997 and boasts a selection of ritzy shops and boutiques, wonderful dining options and fairytale-esque hotels. 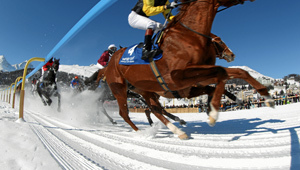 For those looking to ski in what could be described as the perfect winter wonderland, look no further than Gstaad. Verbier is world renowned for it’s world class, high altitude skiing, and of course it’s nightlife. Skiers the world over flock to Verbier year on year to enjoy the slopes and indulge in the lively après ski that Verbier has to offer. As part of the Four Valleys Ski Area, Verbier offers access to 412km of downhill skiing across various villages in the area. At the turn of the 20th century Verbier was little more than a few farmer’s huts and cattle pastures. It’s potential as a ski resort was discovered in 1925 when a group of keen mountaineers hiked up 15km from Sembrancher in order to ski back down again. Over the next ten years Verbier expanded as a holiday destination but still essentially remained a small alpine village. It was not until the ski boom of the 1960’s that it was established as a fully fledged ski resort. The rest, as they say, is history.